WWW, June 2009 - Entitled "Heartbreaker", we would have loved to be the title of this podcast to be less appropriate. It's sad to hear Mikey Dread presenting us yet another hour of crucial Reggae Music, knowing that he's left us way too soon. Michael "Dread At The Controls" Campbell has done a lot for Reggae Music, and he keeps doing so even after he recently left us. This podcast is just one part of his legacy. Mikey Dread brings us a truly crucial selection, presenting them in his own style, forming a one hour Reggae experience for free. Freddie Mc Gregor is richly present in the playlist. From the Abyssinians and Culture to Garnet Silk to Luciano, we're treated with a variety of singers and harmony groups from several times. So, even though is surely breaks the heart to realize how Mikey Dread is no longer with us: Just Ire, Just Niceness, seen? WWW, June 2009 - Originally, the vinyl album had 6 extended tunes, but the CD version goes to no less than ten long, great Rub a Dub discomixes from the 1980's. Sure, it's a rare album and that means it cost a thing on the second hand market. Don Carlos was one of the original members of the vocal group Black Uhuru, before Michael Rose and others took over and put the name of Black Uhuru on the World Wide Reggae Map. The Don's voice sounds in no way similar to that of Michael Rose, however. Don Carlos is surely one of the sweetest singers in Reggae. His melodies contain many licks and hooks which are extremely difficult to do for a vocalist. He is extremely talented, which shows on the album in a very special way. It doesn't matter whether the Don sings a lovers lyrics or a conscious meditation, every time he opens his mouth in front of the studio microphone, he makes something special of the tune. 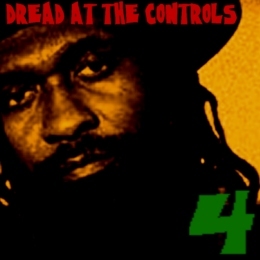 This shows on this album, where he sings over some really crucial riddims and everything is mixed almost perfect. 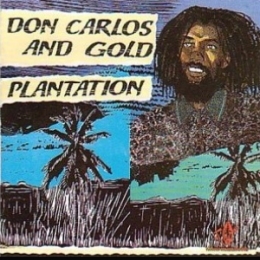 Most of the ten tunes are sung by Don Carlos, and all of them are followed by a crucial DUB. Noteworthy titles include the Abyssinians' "Declaration Of Rights", and the title track of course. Definitely worth a listen, definitely worth considering as a purchase even though you might have to go to a second hand store or whatever.